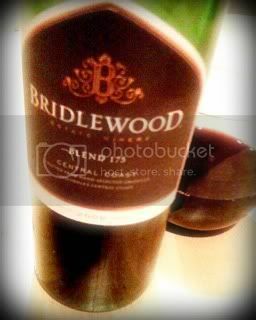 The Bridlewood winery is on the east side of the Santa Ynez Valley, about 30 miles north of Santa Barbara. It’s a white, Mission-style structure with a red tile roof - the kind so popular back down Highway 154 in the Mission city. Bridlewood's winemaker, David Hopkins, has 20 vintages behind him and he works for E & J Gallo, who own Bridlewood The label of Blend 175 states that the wine was bottled at their winery in Healdsburg. Blend 175 sets a modest alcohol number - just 13% - and I bought it at a grocery store in Los Angeles for $15. Blend 175 is made up of Syrah, Cabernet Sauvignon and Zinfandel. The winemaking crew tasted through blend after blend after blend, and the 175th blend was the winner. Whether that’s true or apocryphal, I don’t know. It makes a nice paragraph on the label, though. The wine’s color is medium-dark ruby with some purpling around the edge. Hopkins likes to "follow the fruit," and he certainly does so here. The nose shows a truckload of fruit - blackberry and blueberry - in a straightforward attack on the olfactory. There’s a bit of alcohol upon opening the bottle, and that shows up on the palate as well. I thought that was a bit odd considering the wine carries a reasonable alcohol number. After it opens up the alcohol burns away and the fruit is gorgeous, dark and lip-smacking with the Syrah showing its spice and the Cabernet letting its graphite speak. 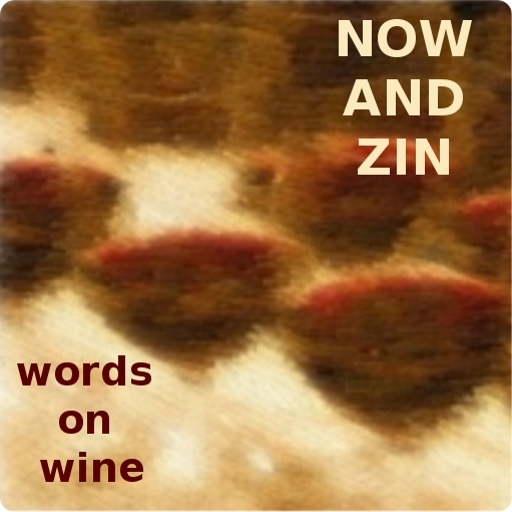 Not too much here from the Zin except a very slight hint of brambles coming through. the wine's texture becomes darker on the second and third nights after the bottle was opened.